The IT department of India has made it mandatory to link AADHAAR number to your PAN, in order to file your Income Tax. This has to be done latest by 31st March 2019. Since the AADHAAR-PAN linking is an automated seeding process (which works through API), it will fail if there is a small mismatch of data. E.g. 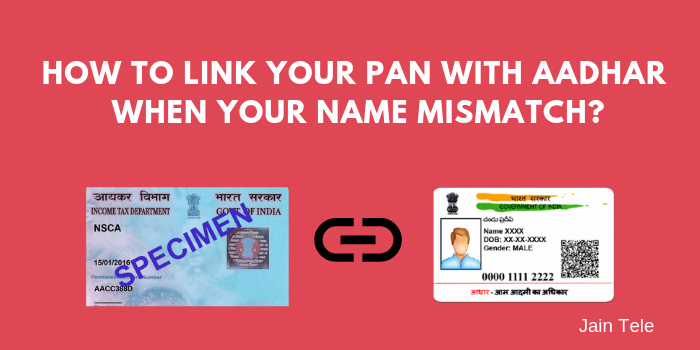 if your name is YOURNAME on PAN and YOUR NAME on your AADHAAR, the linking process will fail, because of the space in the name on your AADHAAR. And that is what exactly happened to me. Take one more case, for example, if your name on PAN is LASTNAME FIRSTNAME, and on AADHAAR it is FIRSTNAME LASTNAME, the linking process will fail again. 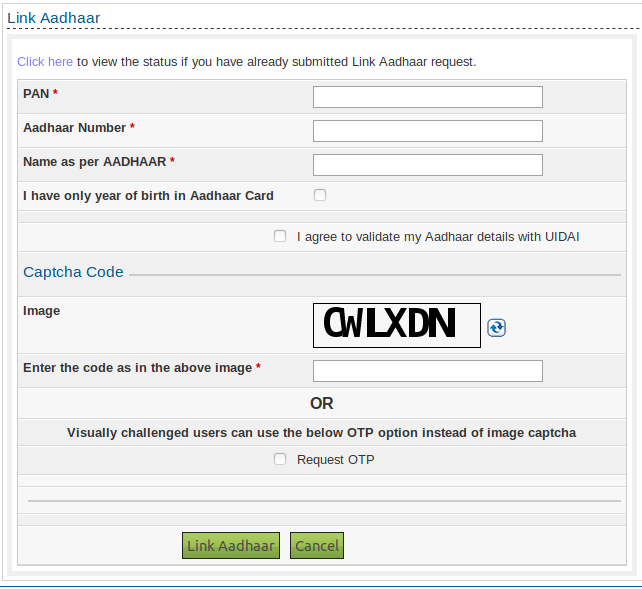 And hence why IT department has given an option to enter your name as per your Aadhaar while entering data for linking. I have created a small and crisp 5 step how-to guide to link your Aadhaar to your PAN, in next 3 minutes. Step 2: Enter your PAN in the first box and your AADHAAR number in the next box. Now, in the next box, enter your name exactly printed on your AADHAAR. Step 3: Next there is a checkbox. Check this, only if your AADHAAR has only your birth of year and not the complete date of birth. Skip it otherwise. You have to check the next checkbox which says I agree to validate my Aadhaar details with UIDAI. Otherwise, you cannot proceed further. Step 4: Now, in the last box, enter the text shown in the image just above the box. If you are visually challenged and having issue in reading the text in the image, you can request an OTP by checking the checkbox below. The image will disappear and you will see a box to enter your mobile number. Done! If everything is proper, your PAN will be linked to AADHAAR in sometime. Hope this small guide would help you in linking your Aadhar to your PAN. Since the Aadhaar-PAN linkage is made mandatory by IT department, you should do it right away, if you file your income tax online. Should you have any queries, ask through the comments.